PF’s Hot FM breakfast show presenters led by a Mutale Mwanza and Hope Chishala this morning petitioned Home Affairs Minister Stephen Kampyongo to arrest opposition UPND president Hakainde Hichilema. In a typical mercenary style the presenters, who have a preconceived position that Hichilema incited Copperbelt residents to riot gave Kampyongo a seven day ultimatum to investigate and arrest all who were involved in the matter. During their shoe on Wednesday, the DJs conducted an unfruitful interrogation of the opposition leader over their script that he had incited citizens to riot. However Hichilema was too smart for the somewhat dimwits who expected him to give them an easy way to execute their plans. 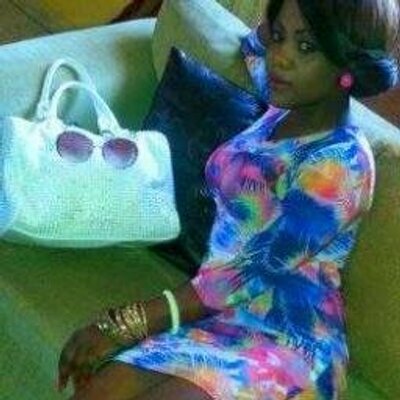 This slay queen or solola is Hope Chishala. She works for Hot Fm radio. 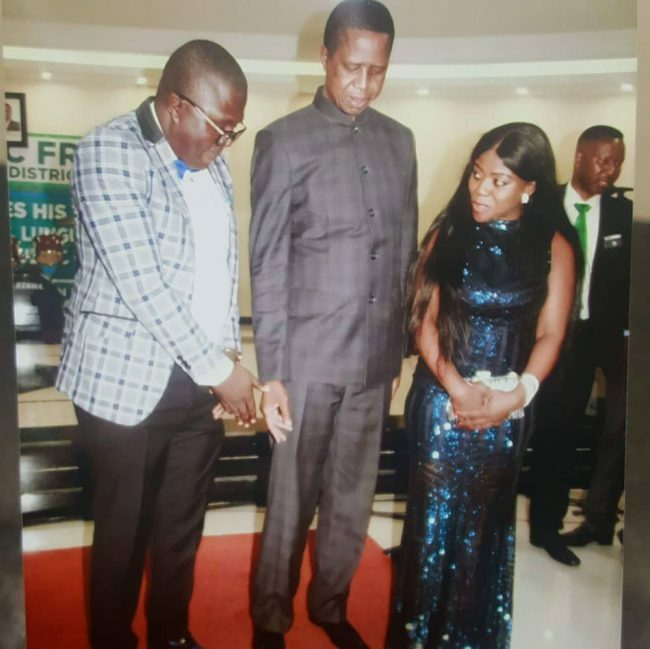 The shot man standing with president Edgar Lungu in the photos is chomba Kaoma. Chomba is the official husband of Hope, that is why nowadays she calls herself Hope chishala Kaoma. Hope Chishala Kaoma is among the PF cadres working in the media who have been unleashed to prepare the public mind for the impending arrest of Hakainde Hichilema. PF is accusing HH of inciting Copperbelt residents over the sale of ZAFFICO to some Chinese thieves. We will bring you details later. For now we are telling you why Hope Chishala is the perfect weapon for attacking HH. Hope’s husband Kaoma is a Corruption conduit for most State House and PF deals. He has so far bought Hope a Benz and BMW from proceeds of corruption. But if you asked Chomba Kaoma what business he does for him to manage to buy such expensive cars for Hope, he will sweat to explain. So do you expect Hope a PF cadre to stand up and fight corruption in government or the sale of Zaffico? No she can’t. She is a major beneficiary of corruption. She is worried that if the sale of Zaffico is blocked, her husband won’t afford to buy her the next SUV. And what many people do not know is that minister Japhen mwakalombe is a share holder in HotFm. He is actually the chairperson of Hot Fm radio. It is Mwakalombe who first accused HH of inciting rioters and gave the recording to Hope. Now, Mwakalombe is one of the numerous men for Hope Chishala. So Mwakalombe has unlimited access to Hope. After years of wear and tear, he pushed her to Chomba Kaoma. The other one is Press attaché at the Germany Embassy Kellys Kaunda. That is why we say Kaoma is just an official husband. He is not alone. Anyway, since Hot Fm is a PF radio, why do the UPND bother about it? Why does HH even answer phone calls from these PF cadres when he knows very well that they carry a PF agenda? Why do you think PF deputy Secretary General is always on stand by to issue a statement at HotFm especially if Hope is the presenter. A radio station that pretends to be on the side of the people when it’s actually on the side of the oppressors is much more dangerous than an official mouth piece of dictatorships such as ZNBC. The opposition is advised to shun HotFm.